San Diego, CA – CovalentCareers, Inc., a California-based career development and digital media company, announced its support of Student Optometric Leadership Network (SOLN), a private practice optometry club dedicated to cultivating tomorrow’s private practice leaders. Effective immediately, CovalentCareers will be donating 10% of premium eyecare revenue to support the success of SOLN, which is run entirely by optometry students and new graduate ODs. 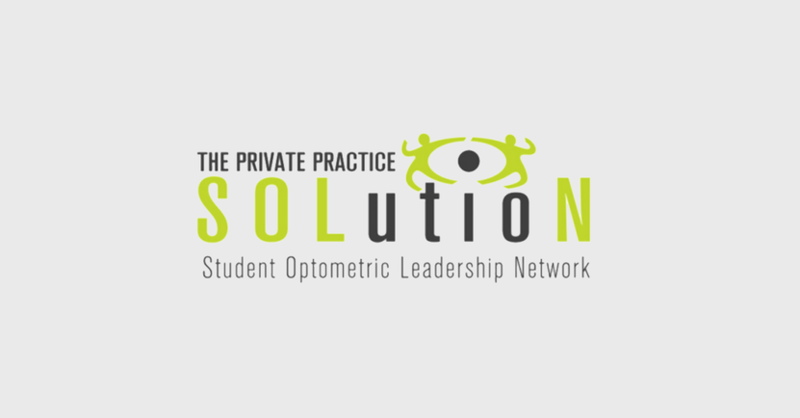 SOLN comprises a dynamic group of students and ODs from across the nation, all of whom share a common motivation of finding success in optometry private practice. The organization invests in its members’ professional development by inviting doctors such as Amir Khoshnevis, Ryan Parker, Pete Kehoe, and Alan Glazier to share their expertise regarding workplace success and leadership skills. SOLN also initiates trips to key eyecare industry organizations, including VSP and Essilor, opening the doors for students and new ODs to interact with these companies’ leadership teams. The decision to contribute financially to the SOLN was born from a long-standing relationship between SOLN and CovalentCareers. During the most recent annual SOLN meeting in Dallas, Dr. Geller was able to speak with the SOLN executive team to find out what was and was not working. “We wanted to support what was working, by providing funding and increased accessibility to great education and speakers,” stated Dr. Geller. ”We understand that, by providing 10% of our premium eyecare revenue, SOLN chapters at each optometry school will be able to improve the quality of their events and provide better educational opportunities to future leaders. We are most excited about being able to take students away from clinical learning for a moment and get them learning about the business side of private practice,” he added. For CovalentCareers, the decision to invest in future private practice optometrists is only natural, considering that the co-founder is an optometrist who began his career in private practice. “It wasn’t long ago that I was an optometry student, and this is a true milestone for us as a company, when it comes to giving back and supporting the leaders of tomorrow,” explained Dr. Geller. For more information on the program, visit https://covalentcareers.com/eyecare-professionals. For more information about SOLN, visit http://www.solnoptometry.com/. CovalentCareers.com is career development company co-founded in 2015 by an entrepreneurial team of doctors and software engineers. CovalentCareers offers education, mentorship, and job opportunities for healthcare professionals and operates in the verticals of eyecare, physical therapy, occupational therapy, and speech therapy. Additionally, the company operates the largest network of new graduate healthcare publications in each vertical. With a strong technology backbone, CovalentCareers.com utilizes its proprietary algorithm to organize the professional identity of healthcare workers and niche details of job openings into a centralized, searchable database.